Out of all the ways to get the most out of iTunes Get The Most Out Of iTunes 11 With These 10 Tips Get The Most Out Of iTunes 11 With These 10 Tips A few of these tips are work-arounds for features Apple left out in iTunes 11, like iTunes DJ, while others point out a few new handy features you might overlook. iTunes is not a perfect... Read More , the most effective is to stop using the mouse as much as possible. Keyboard shortcuts are simply faster and more efficient. So here are the most important shortcuts that every iTunes user should learn and know by heart. These shortcuts are specific to Mac but a lot of them can be used on Windows by replacing Cmd with Ctrl. Cmd + I: Get info on currently selected item. Cmd + L: Go to currently playing item. Cmd + N: Create a new playlist. Cmd + O: Add a file to the library. Cmd + R: Refresh the current page. Cmd + T: Show the Visualizer. Cmd + Comma: Open the Preferences panel. Cmd + Period: Stop all current playback. Cmd + Right: Play Next item. Cmd + Left: Play Previous item. Cmd + Up: Increase volume. Cmd + Down: Decrease volume. Cmd + 1: Switch to Music section. Cmd + 2: Switch to Movies section. Cmd + 3: Switch to TV section. Cmd + 4: Switch to Podcasts section. Cmd + 5: Switch to iTunes U section. Cmd + 6: Switch to Audiobooks section. Cmd + 7: Switch to Apps section. Cmd + 8: Switch to Tones section. Cmd + 9: Switch to Internet Radio section. That’s about it. After these shortcuts become second nature, you’ll be more efficient and productive than ever before. You’ll wonder how you ever got by without them. 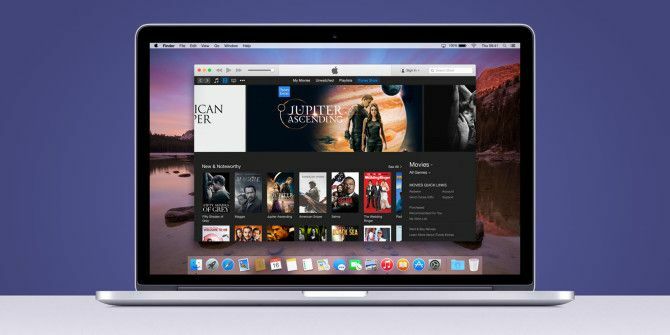 Say goodbye to all the other alternatives to iTunes Alternatives to iTunes: 5 Best Free Music Players for Mac OS X Alternatives to iTunes: 5 Best Free Music Players for Mac OS X Unless you're chained to the iTunes ecosystem and have no choice but to use it, you may want to consider switching to one of these alternatives. Read More . Want to be even more proficient? Check out these awesome iTunes hacks for improved functionality 8 iTunes Hacks For Improved Functionality 8 iTunes Hacks For Improved Functionality iTunes is a rich and feature-packed music management application, but that doesn't mean there's not room for improvement. Some simple changes and additional features can make the application even better. Read More . Which iTunes shortcuts do you use the most often? Are there any other essential shortcuts that we missed? Let us know in the comments below! Explore more about: iTunes, Keyboard Shortcuts.